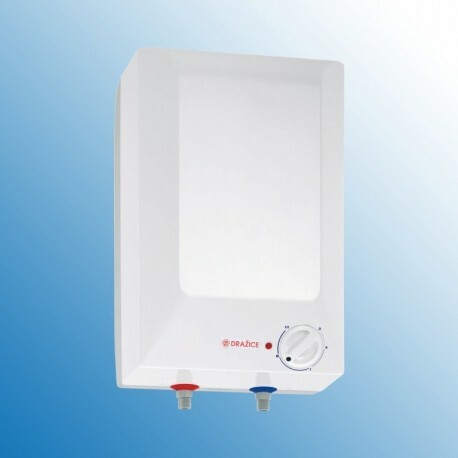 The electric water heater BTO 5 UP is designed for preparation of hot water in households, cottages and various welfare facilities. 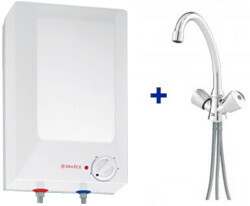 It allows installation of only one hot water consumption point. Its benefit is that it heats up water by power in an unlimited all-day time range. Heating time from 10 °С to 65 °С: 10 min. Temperature of water can be set by a thermostat within the range between 5 °C and 75 °C, using the symbols on the thermostat selector button. Cold water inflow is indicated with a blue ring, hot water outflow is indicated with a red ring.